CRICKET: Any over 60s dreaming of the glory days of yesteryear are being encouraged to don the pads and helmet for one more hit out in an upcoming competition. 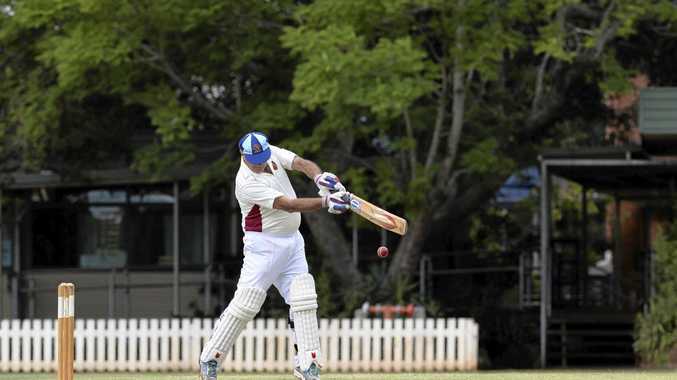 After two knee replacements, Toowoomba's Ian Reimers is back playing over-60s cricket in a competition which includes Toowoomba, Wide Bay, Sunshine Coast, Brisbane, Gold Coast and the Lockyer Valley. But Reimers said he's eager to get Stanthorpe and Warwick involved. The season is from April to August so doesn't cut across any of the summer club competitions. Reimers plays for the fun of it for the Toowoomba Grey Cavaliers. Reimers said there were opportunities to play veteran's cricket for Queensland and also play for Australia in a World Cup or the Ashes. "We would welcome any players from Warwick and Stanthorpe who want to play in a Toowoomba team,” he said. Reimers said he was willing to assist any Warwick and Stanthorpe players keen on a game. "In a couple of months, I could bring a Toowoomba team to Warwick or Stanthorpe for a game to give players an idea of the standard. Prospective players can call 0409994167.